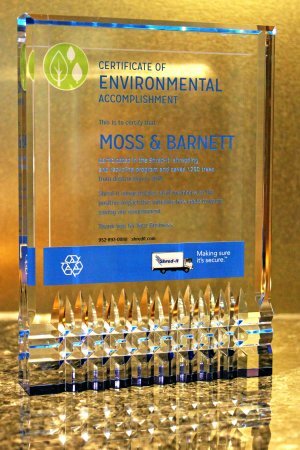 We are very proud to announce that Moss & Barnett has been awarded the Shred-it "Environmental Accomplishment Award" for our Green efforts in 2014! We participated in the Shred-it shredding and recycling program and saved 1,250 trees from destruction. Our trees saved were calculated based on the volume of paper Shred-it ultimately recycled for us. 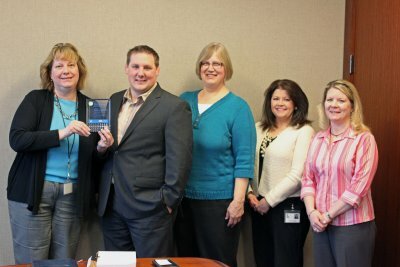 Shred-it chose 15 of their largest recyclers in their Minneapolis district to receive this recognition.